The Pro Fortran compiler is a highly optimizing and highly extended Fortran 95 compiler. It includes full FORTRAN 77 support and F2003 and F2008 features. All popular workstation extensions, such as Cray Pointers and VAX variable directed output formatting, are implemented. It features advanced parallel and vector optimizers and AVX/SSE support to ensure maximum application performance. Multi-threading, a high-performance parallel optimizer, data perfecting, profile guided optimization, IPO, and advanced optimizations can be performed automatically. Combined with the included math libraries, the compiler provides the best solution for creating maximum application performance on single and multi-core systems. The compiler also supports the OpenMP 3.1 directives and run-time environment. The Pro Fortran compiler includes auto-vectorization capabilities. It utilizes SIMD instructions to restructure code for executing multiple operations simultaneously. This action is performed automatically and requires no action by the programmer. 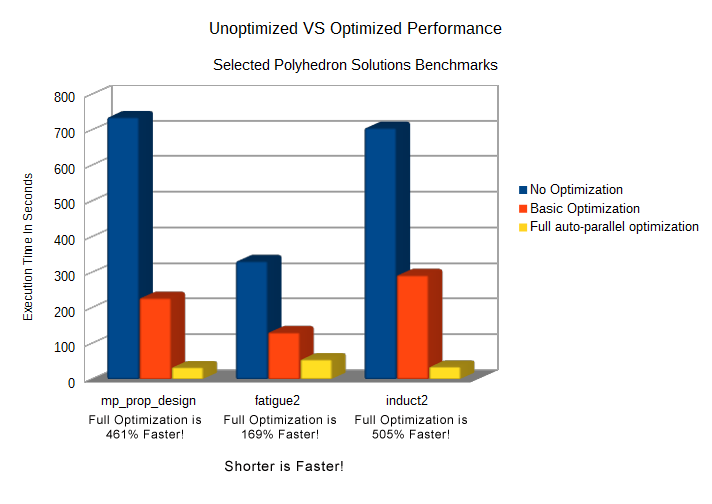 Auto-vectorization is especially effective on loops and in some cases can result in significant speed increases. OpenMP is an industry standard directive based approach to high-level parallel programming. The Pro Fortran 19.0 compiler implements OpenMP 3.1 on Windows, OS X, and Linux platforms. Pro Fortran uses advanced compiler technology to implement a large number of optimization techniques. These can be enabled individually or in combination to produce the best performance while maintaining accuracy in numerically sensitive algorithms. In addition to complete Fortran 95 support, the Pro Fortran compiler implements a number of extensions from workstation Fortran compilers and the F2003 and F2008 standards.